Lighting is one of the most important aspects of your wedding. It sets up the mood and ambiance of both your ceremony and reception, and can often make or break the space you’re working with. Lighting can get expensive, so here are 5 lighting ideas to help spruce up your wedding without going over budget. 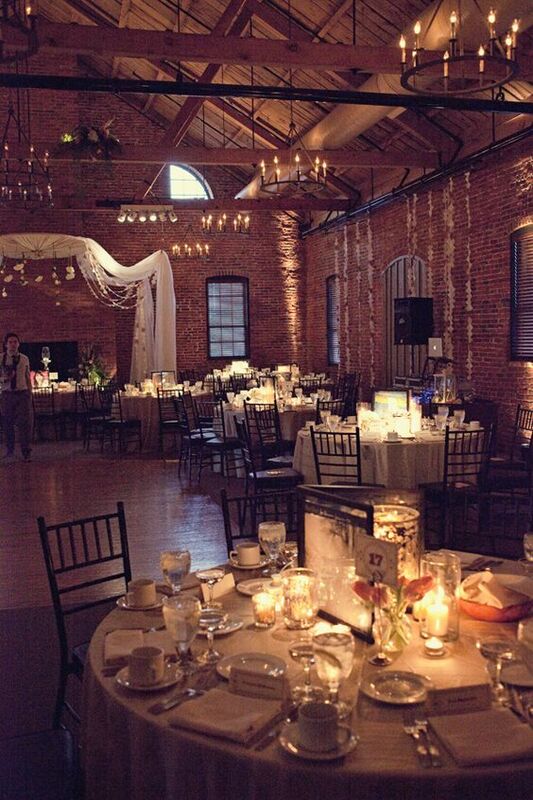 At the reception, instead of white lights, change the lights to a soft amber to create a nice glow and romantic ambiance. 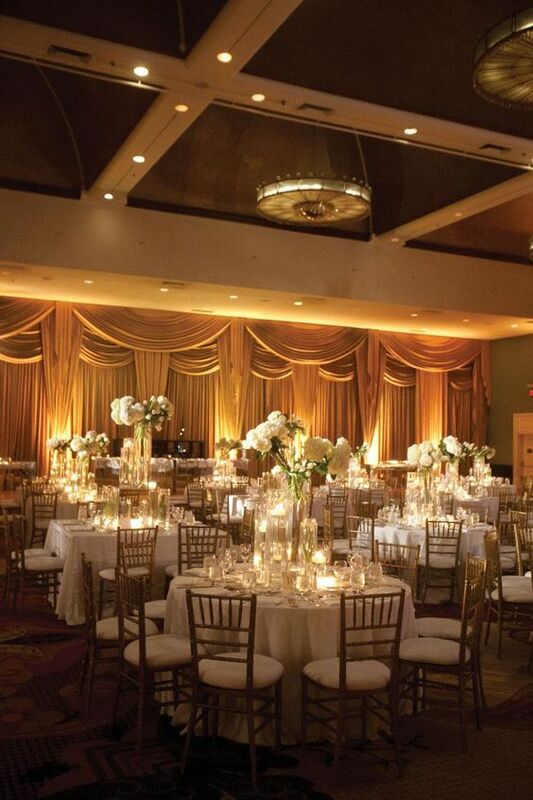 Don’t forget to make sure it’s okay with your venue first before changing the lighting. Shine your monogrammed initials or an elegant design on the dance floor or wall to create a more dramatic look to your reception. If the lights at your reception venue have dimmers, then turn them down so it creates a softer more romantic feel instead of a hotel convention feel. Use lots of candles! Whether you use them as centerpieces or use them in lanterns candles are an easy and inexpensive way to create the perfect romantic feel as well as add some up-lighting to your wedding. Due to their lack of intensity, candles shouldn’t be used as your main lighting source, but as a soft addition to your lighting. 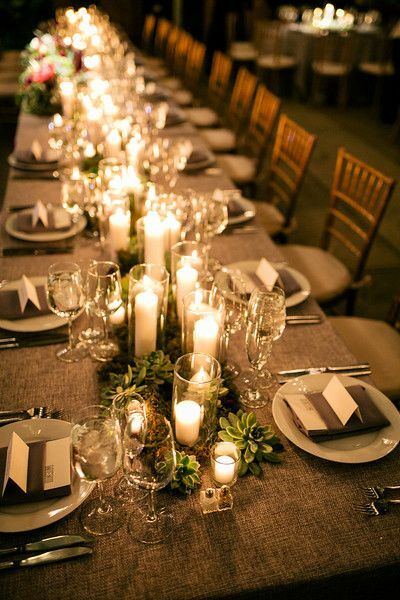 Beware of any restrictions of candles at your wedding venue. For any outdoor wedding, hang twinkling string lights on trees or bushes to create a lovely fairy tale look. Remember to not overdo the lights, as it can look to much like a Christmas tree. If you still find yourself stuck with lighting details, have no fear because an onsite venue coordinator or your personal wedding planner will definitely have some ideas for you!